If your car needs an oil change, tire rotation, battery check, or any other routine service, you are in luck, as there’s no task our expert mechanics can’t handle. As a car owner, you are probably aware that there are certain services that your car needs to keep going strong. You are probably aware that your car needs to go in every now and then for an oil change. The oil change, which happens about every 5,000 – 7,000 miles, is one of the most important routine services that your car has. But what you might not know is that there are other critical services that your car needs too, such as a battery check, an occasional tire alignment, and an inspection of its main mechanical components. 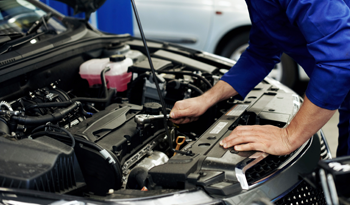 Our expert mechanics are adept at performing thorough, timely car inspections. It doesn’t matter what kind of car you drive – we service them all! You might be asking yourself now what kind of maintenance your car needs and when. For the most accurate schedule, it’s best to check your owner’s manual that came with your car. The manual will tell you when your car should go in for an oil change, tire rotation, and other common services. Although that number varies by vehicle, the general timeline is to bring your car in for a comprehensive service at about 15,000 miles. Then, you’ll bring it in at about 30,000 miles and every 30,000 miles after that (in the auto industry, this is referred to as the 30-60-90 checkpoint). At each interval, you’ll have the oil changed if necessary and additional services performed. The services that your car gets generally accumulates by mileage. At 30,000 miles, for instance, your car might only need a quick overview to make sure its components are working properly. But by the time it reaches 90,000 miles, you’ll want to be sure all cables, hoses, and wires have been properly checked for signs of damage. Major parts like the engine and timing belt will be checked at this point, too. This all sounds great, you might be thinking, but what if you don’t drive a Nissan? Fortunately, unlike other exclusive dealerships, we extend our experience and expertise to other car brands, too. You don’t have to drive a Nissan to get assistance from our dealership. Our expert mechanics are familiar working on a variety of car makes and models, which means that no matter what kind of car you drive, we can take care of your concerns. All you need to do is call or contact us online to set up a time for service or repairs! If you spend all the time and money on car repairs, you want to make sure that the job is done right. 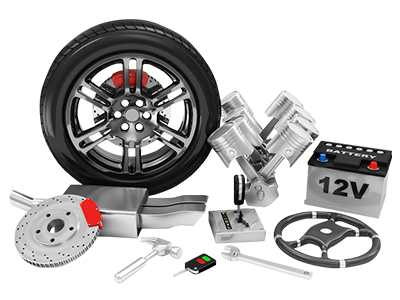 At our dealership, we are committed to using only top-quality parts in your car, which are called original equipment manufacturer (OEM) parts. These parts are carefully made to meet the highest standards in the industry. They are also tested for quality and longevity before distribution. The other option is aftermarket parts, which you normally find at your local mechanic. Although aftermarket parts usually cost less, they do not come with a warranty, and they are inconsistent in quality. As a caring car owner, why go for anything less than the best? Getting good parts for your car will extend its longevity and boost its resale value.